Bringing content for archaeology and historic buildings for Europeana's users CARARE is a best practice network funded by the European Commission’s ICT Policy Support Programme. CARARE brings together heritage agencies and organisations, archaeological museums and research institutions and specialist digital archives from all over Europe to establish a service that will make digital content for Europe's unique archaeological monuments and historic sites interoperable with Europeana. It also brings 3D and Virtual Reality content to Europeana. CARARE is a Best Practice Network, funded under the European Commission’s ICT Policy Support Programme, which started on 1 February 2010 and run for three years. It is designed to involve and support Europe's network of heritage agencies and organisations, archaeological museums and research institutions and specialist digital archives in: making the digital content for the archaeology and architectural heritage that they hold available through Europeana, aggregating content and delivering services, and enabling access to 3D and Virtual Reality content through Europeana. 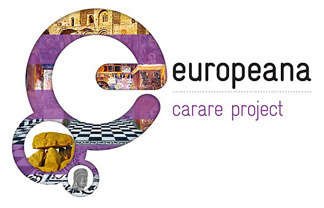 CARARE is one of a suite of projects, funded by the European Commission, to help further develop Europeana. It will play an important role in involving Europe's network of organisations responsible for investigating, protecting, informing and promoting unique archaeological monuments, architecturally important buildings, historic town centres and industrial monuments of World, European and National heritage importance alongside the existing national, regional and local content providers. Such involvement will not only bring together a rich diversity of content about the archaeology and architectural heritage but also adds 3D and Virtual Reality content to Europeana. CARARE aims to enable 2D and 3D content for heritage places to be brought together in Europeana and new services for users. CARARE is co-ordinated by Kulturarvsstyrelsen with MDR Partners.